This tutorial will guide you through the steps to watch Netflix videos – without any kind of special ‘disc’ – on your Playstation 3. Note: your PS3 will need to be connected to the Internet for this tutorial to work. The first step is to update your Playstation 3 to the latest version. To do so, select Settings from the main PS3 Dashboard, then System Update. If you’re already up to date it will say so, and you can proceed to step #2. If you need to download and install an update, do so now. Once the update has been applied (and this often requires you to restart your PS3) – proceed to step #2. Navigate to the Video category on your PS3 Dashboard. From that menu, select Netflix. Press the X button on your controller to install the Netflix app on your PS3. Select OK to confirm your PS3 was purchased in the US or Canada. Confirm that you want to download and install the Netflix app by selecting Yes. The Netflix app will now download and install. 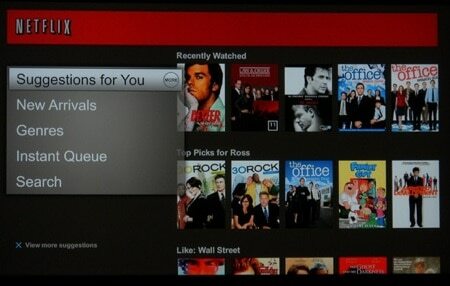 Now select Netflix from the Video menu on your PS3 Dashboard. It will connect to the Netflix service. If you’ve previously used the ‘old’ method to watch Netflix movies on your PS3 (using the Netflix disc) – you won’t be asked to sign in to your Netflix account. Otherwise, you’ll need to enter your authentication credentials (user name and password). Thanks for the article. Just want to inform all folks who live outside US that PS3 is a great media Player. If you want to access Netflix and other streaming stations on your PS3 you can use UnoTelly as I do to get around the geo block.